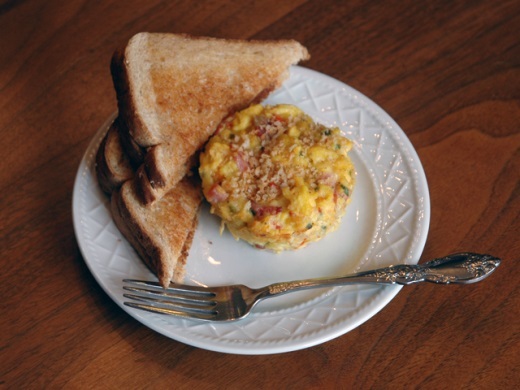 Frittatas ... A Hen-tastic Way To Eat Eggs! Three weeks ago, our family put up a little chicken coop and stocked it with five sassy hens. I can't even tell you what kinds of chickens they are. That's how new this all is for me. I'm trying to learn the chicken's habits because, like I said, I've never been around chickens before. Luckily, my husband had chickens growing up, and one of my married sons has 8 or 9 chickens of his own, so we aren't all totally in the dark. 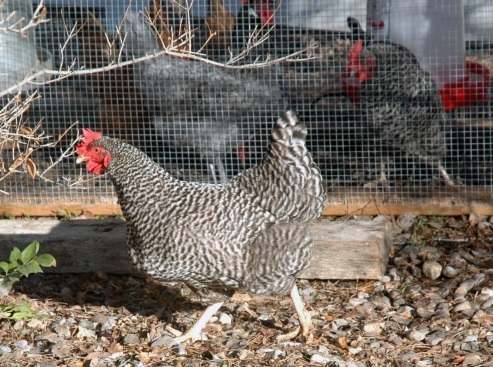 I let the hens out of the coop yesterday so they could get a little exercise in the yard and to let them scratch and peck in the dirt for bugs. I felt a little panic when I realized I was going to have to get them back into the coop. After trying mightily to coax them back in, it soon became apparent that I just needed to wait until they were good and ready. And, sure enough, they all went back in on their own! Eggs have always been on the top of my list for a great protein meal, even when they were not deemed healthy. Do you remember when we were being told not to eat eggs? Doesn't it just chap your hide when you think of how all the different food groups get cycled through the "good" or "not good" for your diet plans? I never gave up on eggs! What would we do without eggs? They are such a staple. We use them in practically everything. Anyway, we are gathering and enjoying the fruits of our labors, while caring for the chickens. Waiting and watching to see how many eggs are laid, what color they are, and we're feeling kind of homey. The whole family gets pretty jazzed when we bring in the eggs. I don't know, it's like "WE" just did something grand! So, speaking of eggs... At the moment we have family members on Body for Life, and a couple that are just trying to eat healthier and me, who, has been off of sugar for one week now. One thing we all have in common is that we all eat plenty of eggs. And, we like to share our creations with each other. One of the ways I have been enjoying my eggs as of late is to make a frittata. It's basically an Italian omelet. It seems to me that every culture has its own take on the omelet. I think you could even count egg-foo-young as an omelet of sorts. Frittatas can be made on the stovetop or in the oven. They only take 15 to 25 minutes to make and what a great way to use up vegetables. Although frittatas look a lot like quiche to me, there is not any crust involved, and that makes for less prep time and fewer calories. A frittata is an acceptable entrée for any meal. Also, we have eaten leftover frittata for breakfast the next day. A frittata is usually made in a skillet but it can be made in a casserole dish or, as you can see by the photograph I shared, in large muffin tins. I'm telling you, it's another great grab-and-go meal. Another thing I like about frittatas is you don't really have to follow a detailed recipe. If you want asparagus and olives, go for it, or maybe you like the more traditional spinach and cheese or hash browns and cheese. It's very much like the omelet, in that you can put whatever you want in it! The recipe I used for this article consisted of food items I already had on hand. When I oven bake a frittata, which is what I like to do, I lightly scrabble the egg mixture on the stove and then put the mixture into a greased dish or, in this case, a large muffin tin and let them finish cooking in the oven for approximately 5 or 6 minutes. I think the eggs cook more evenly with this technique. The recipe I am including is an Easy Oven Frittata and you don't have to cook it in the skillet at all. However, I opted to stick with the technique that works best for me. We love having the chickens! I for one never like to be left clueless or eggless! Enjoy making your frittata or whatever you call them. Italian Omelet. Baked in the oven. Preheat oven to 350 degrees. Beat eggs and cream together. Add all other remaining ingredients. Pour into a greased 9 inch pie tin or greased large muffin tins. Bake 25 minutes or until puffed and golden brown.